You can buy them on our website or at the ticket office located in the fishing port of Carboneras from 9 am to 1 am or from 4 am to 6 am. 2. What is the price of the excursions and what does it include? 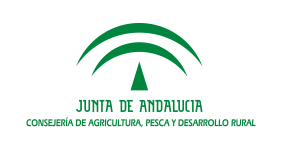 The 2-hour excursion to Cala Enmedio costs 25 euros for adults and 16 euros for children aged 3-11 and is free of charge for children under 3 years if they can prove their age by means of their ID card, family register or another supporting document. 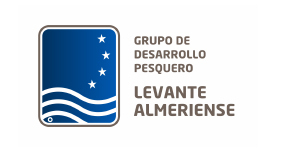 The 3-hour excursion to Cala de San Pedro costs 35 euros for adults and 25 euros for children aged 3-11 and is free of charge for children under 3 years if they can prove their age by means of their ID card, family register or another supporting document. Both excursions include a free soft drink. 3. Do I need to buy tickets in advance? Yes, we recommend buying them a few days in advance, especially in July and August. 4. I have already bought the tickets on the web, what do I do now? The confirmation email must be presented at the ticket office located in the fishing port of Carboneras about 15-20 minutes before the start of the excursion to collect the tickets which you’ll need to board the catamaran. 5. What happens if the excursion is cancelled? If the excursion is cancelled due to weather conditions, the total amount of the tickets will be refunded, or you can reschedule your excursion for the next available day. 6. What happens if I don't show up for the booked excursion? If you don’t show up for the booked excursion, no refund will be paid. Si. En la pagina web se puede pagar por paypal o con tarjeta de crédito (Visa, Maestro, Discover, American express, MasterCard y tarjeta aurora) y en la taquilla se puede pagar en efectivo o con tarjeta de crédito. 8. Can I swim in the sea? Yes, on the 2-hour excursion to Cala Enmedio, we stop for about 15-20 minutes and on the 3-hour excursion to Cala de San Pedro, we stop for about 45 minutes. 9. Do we offer snorkelling equipment? No. But if you have it, we recommend that you take it with you to enjoy your swim even more. 10. Can you go to the cove? No. The catamaran can’t go near the shore. 11. Is there a toilet on the boat? 12. Is there any shade on the boat? Yes. The catamaran has two floors, the lower one has shade. 13. Are there seats on the boat? 14. Is the boat suitable for disabled people? Yes. Disabled people can access the boat. 15. Can baby carriages be taken on the catamaran?